In the spirit realm, there are many lines that must be crossed by a child of God in order to cause a true impact and become an agent of change for today’s society and future generations. 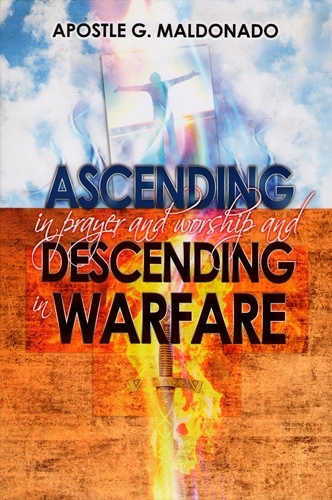 The main revelation found in this book is the fundamental role that worship carries out in spiritual warfare. To become a warrior, you must first become a true worshiper. Ours is a war of worshippers! 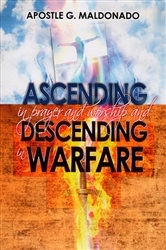 This book will lead Christians into a greater level of intimacy with the Father, leading to a greater level of anointing needed for the war, transforming them into triumphant warriors – a threat to the enemy and a hero in the Kingdom! Apostle Guillermo Maldonado, born in Honduras, is a man called to establish the Kingdom of God at the local and international level. He is the founder of King Jesus International Ministry; a church that is recognized for its fast growth and powerful manifestations of the Holy Spirit. Dr. Maldonado, having earned his Doctorate in Divinity and a Doctorate in Philosophy in Christian Counseling, stands firm and focused on the vision God gave him which is to: evangelize, affirm, disciple, and send. His purpose is to encourage leaders to become true spiritual fathers who are capable of leaving a spiritual legacy of blessings to future generations. The mission the Lord gave him embraces the United States, the Caribbean, Central America, South America, and Europe. He is the spiritual father to many leaders and apostles of local and international churches through The New Wine Apostolic Network.